Italy: designed by geography. © 2014 Wikimedia Commons. In 2002 Harvard historian David Armitage advanced his groundbreaking ‘Three Concepts of the Atlantic World’, a part-historiographical, part-theoretical attempt to describe the transnational movement of peoples, goods, and ideas in the early modern era. Admitting, of course, that the Atlantic Ocean cannot be conceived of in isolation to the Pacific, Mediterranean, or Indian oceans, or indeed to non-Atlantic continents (an point since strenuously articulated by Peter Coclanis), Armitage proposed three, intertwined paradigms: Circum-Atlantic, or ‘a transnational history’; Trans-Atlantic, or ‘an international history’; and Cis-Atlantic, or a ‘national or regional history within an Atlantic context’ (15). In sum, Armitage argued that we could not analyse or articulate national histories without critically accounting for time, context, and space. A study of Cadiz, Spain, for instance, historically one of the Atlantic’s most important and dynamic ports, cannot be comprehensively accomplished without: identifying its particular relationship(s) with other ports, nations, peoples, and ideas, its geography; or how ideas, groups, goods, and communications circumnavigate the sea (and the world) before returning in often exotic, repackaged forms. While still a relatively recent phenomenon in historical study, geographers have long practised precisely the same analytical methods. Federico Ferretti’s recent Geographical Journal article is an excellent case-in-point. In ‘Inventing Italy – Geography, Risorgimento and National Imagination’, Ferretti documents and critiques how politicians, geographers, journalists, and merchants united – both consciously and unconsciously – to promote a modern worldview of ‘Italy’ from 1861, following Giuseppe Garibaldi’s successful efforts to merge the various Italian peninsular states. As their discussions and depictions of a unified Italy spread, so to did global conceptions of ‘Italy’ as a singular national identity, gradually erasing centuries-old perceptions of Italy as a squabbling cornucopia of city-states. From a narrowly topographical standpoint, Austrian chancellor Klemens von Metternich famously dispelled any notion of a united Italy as ‘a mere geographical expression’; a collection of micro-states connected only by their shared space on a geographically ideal and compact peninsula with convenient physical boundaries (403). But the coterie of writers, politicals, cartographers, and populists who tasked themselves with promoting post-1861 Italy swiftly dispelled this gross misconception. Recalling Derek Gregory’s conception of ‘geographic imaginations’, Ferretti supports the view that political “realities” are often entire or partial geographical constructs, products of sociocultural and economic belief shifts. Or, to put another way, if they believe it, it is real. Italy had to market itself to become a legitimate force. In the three decades prior to Italian unification, Count Annibal Ranuzzi devoted his life to the promotion of a serious, unified Italian geographic discourse. He and colleagues developed sophisticated correspondence networks with such established organisations as the Royal Geographical Society and l’Académie des sciences. Apart from his extraordinary technical and networking abilities, Ranuzzi was also an adept political strategist. 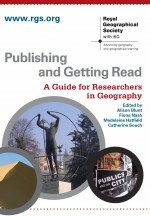 In 1840, observing the rapid growth of formal geographic study throughout Europe and North America, the Count declared that a vital ‘shift’ must soon occur in the discipline’s maturation: ‘Critical geography, comparative geography, is just being born, and much time will be needed before it penetrates and prevails over the entire field of geographical studies’ (409). Geography, as Ranuzzi and a mélange of progressive European experts realised, could be promoted as a potent political tool – the active, engaged study of people, power, and states. Geography is a remarkably natural means of political persuasion. Maps, as Ranuzzi depicted, beautifully lend themselves to manipulation, self-interest, and national celebration, á la J B Harley and David Woodward’s scholarship. 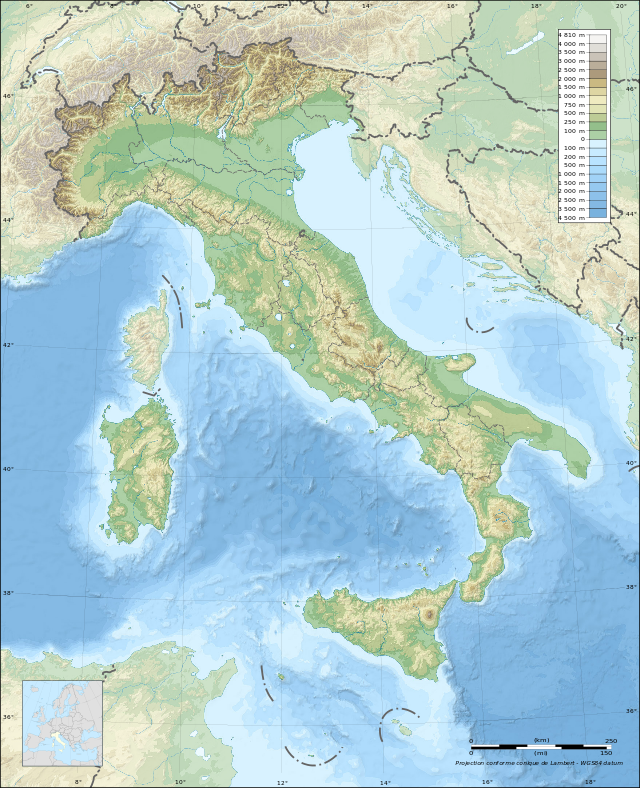 The printed word – journal articles, journalism, literary accounts, and travel writing – on Italy too promoted a sense of ‘the nation’ both before and after Italian unification. Although Ranuzzi was sadly marginalised following unification for his complex political relationships, his efforts – as well as that of his contemporaries – strongly influenced the establishment of national, pan-Italian learned geographical societies and even, in the mould of the Royal Geographical Society and the National Geographic Society, Italian imperial expeditions serving dual academic-political goals. Armitage, D, ‘Three Concepts of the Atlantic World‘, in Armitage, D and Braddick, M, eds., The British Atlantic World, 1500-1800 (London and New York: Palgrave Macmillan, 2002). Coclanis, P, ‘Drang Nach Osten: Bernard Bailyn, the World-Island, and the Idea of Atlantic History‘, Journal of World History 13.1 (Spring, 2002): 169-82. Ferretti, F, ‘Inventing Italy. Geography, Risorgimento and Natiional Imagination: The International Circulation of Geographical Knowledge in the Nineteenth Century‘, The Geographical Journal 180.4 (Dec., 2014): 402-13. This entry was posted in The Geographical Journal and tagged Annibal Ranuzzi, Atlantic History, Benjamin Sacks, Cadiz, Circum-Atlantic, Cis-Atlantic, David Armitage, David Woodward, Derek Gregory, Federico Ferretti, Giuseppe Garibaldi, Italy, J B Harley, nationalism, Peter Coclanis, Trans-Atlantic on November 15, 2014 by Benjamin Sacks.